India vs New Zealand 2019 T20Is: After an emphatic ODI series win against New Zealand, India will take on the dispirited hosts in a first off the three-match Twenty20 International (T20I) series at Wellington Regional Stadium on Wednesday. India vs New Zealand 2019 T20Is: After an emphatic ODI series win against New Zealand, India will take on the dispirited hosts in a first off the three-match Twenty20 International (T20I) series at Wellington Regional Stadium on Wednesday. Rohit Sharma and Co. will look to seal their final overseas tour with a win before heading to the ICC World Cup 2019 which is scheduled in May. In the ODIs, the visitors completely outplayed Kane Williamson-led Kiwis to clinch the series 4-1. It will be a good opportunity for the young guns like Rishabh Pant, Krunal Pandya, Siddarth Kaul, Khaleel Ahmed, and Shubman Gill, to catch the eyes of the selectors and to flaunt their talent, ahead of the World Cup. 1. Rohit Sharma: Interim skipper has not been able to make the most off the recently concluded ODIs, so he will be very desperate to perform in the T20I series. Hitman has smashed 2237 runs at an average of 32.89 with the strike rate of 138.17, including 15 fifties and four hundred in his T20I career off 90 T20Is he played so far. Before heading to the World Cup. 2. Kane Williamson: A lot will depend on the captain Kane Williamson in this T20I series against the visitors. He had a very regretting ODI outing as he couldn’t lead the team to the victory or to give a tough fight to the world’s best side in their backyard. 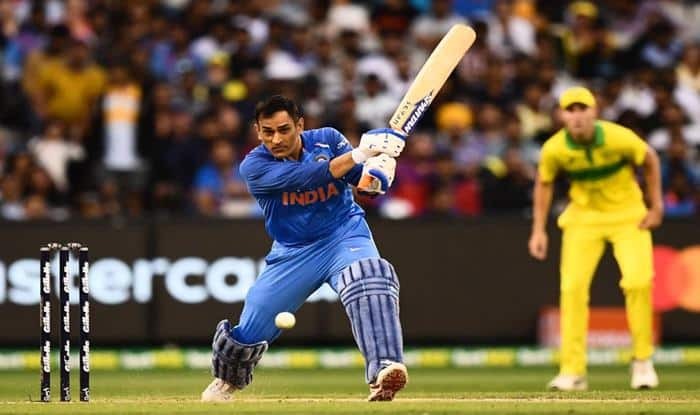 So, the Kiwi captain will be looking to gain the team’s momentum will look to tick-all-the-boxes with his power-packed performance, before going to the world cup as one of the tournament favorites. 3. MS Dhoni: The bossman is making a comeback to the T20I squad after a long hiatus, he, last featured in a T20I match in July. The 37-year-old has smashed 1487 runs at an average of 37.17 with strike rate of 127.09 off his 80 outings, so far. The question is at which position will he play and how much impact will he make to the team as far as his current form is concerned. So, he one of the key players to watch out for in the very last phase of the tour. 4. Bhuvneshwar Kumar: With Mohammed Shami being rested for the T20Is, Bhuvneshwar Kumar will be seen leading the pace attack of India’s bowling lineup in this series. The 28-year-old, couldn’t scalp as many wickets in the recently concluded ODI, though he was one of the most economical bowlers of the series. It will be interesting to see, how experienced, Bhuvi will lead the inexperienced pace attack consisting of young talents like Mohammad Siraj, Siddarth Kaul, and Khaleel Ahmed. 5. James Neesham: Bowling all-rounder Neesham, who was earlier left out of the T20I squad, has now been included as Guptill’s replacement. He made a comeback in the fifth and final ODI and smashed a helpful 44-run-knock off 32 balls, but couldn’t lead the team to the target of 253 runs. He had a perfect start to 2019 as his power-packed performance helped New Zealand to outplay Sri Lanka. So, he is the all-rounder to watch out for in this T20I series against India.